Chicago is not just the one of the most-visited cities in the US, but it’s also one of the most lively cities that exists! From its exceptional scenery, distinguished museums, world-class fine dining, shopping centers and impressive sources of entertainment. The Windy City is full of one-of-a-kind, unique Chicago Wedding Venues for you and your significant other to say “I do” in a unique wedding venue that you’ll never forget. Whether you’re looking for somewhere traditional to tie the knot or somewhere outside the box, there’s something here for everyone. 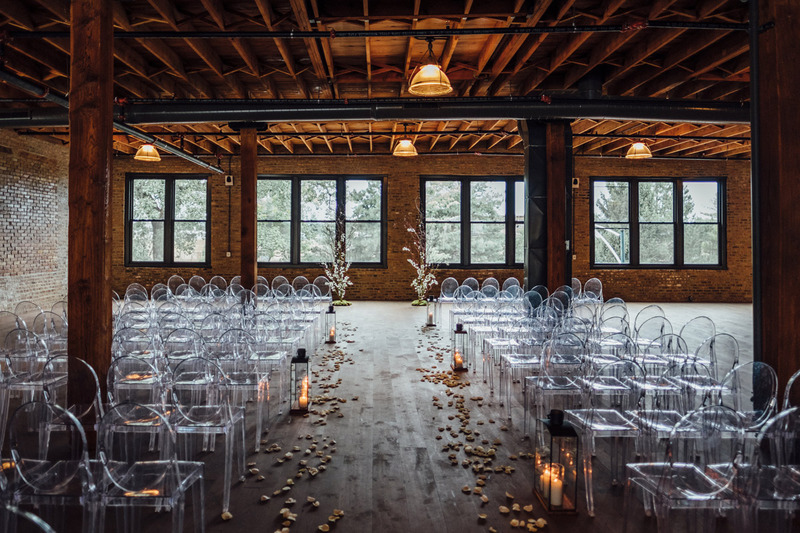 If you’re looking to for a wedding venue with an unimaginable view of the Chicago Skyline, you’ll love saying “I do” at the Bridgeport Art Center Skyline Loft. Since it’s located on the top floor, you will see amazing panoramic views of the Chicago skyline throughout your ceremony. Glowing afternoon sunsets, evening twilight and beautiful decorative twinkling lights will awe your guests with the magic of your wedding. On the ground level of this unique Chicago wedding venue, there’s a sculpture garden that will take your breath away. Overall, the Skyline loft is transformable to fit your vision and make your day entirely yours. Located in Chicago’s Ravenswood district, this warehouse is home to hundreds of preserved antiques and artifacts from around the world. With various spacious rooms to choose from, you can ensure your big day exceeds expectations. The North Atrium provides a unique industrial atmosphere, whereas the Loft, Lounge and Ravenswood Room offers a rustic space. What truly makes Architectural Artifacts one of the most Unique Wedding Venues in Chicago is its high ceilings. With plenty natural light and exposed beams, Architectural Artifacts creates the ideal nuptial stage for those who favor rustic decor. The Chicago Cultural Center is one of the most unique Chicago wedding venues and it’s easy to see why. With the world’s largest stained-glass Tiffany dome, the Chicago Cultural Center is the ideal place to say “I do.” Not only is the building close to many high-end hotels, shopping centers and restaurants, but it also is close to many Chicagoans’ hearts as it holds an important place in Chicago’s history as the city’s first central public library. The building’s fine details such as polished brass, hardwoods and rare imported marbles will make you feel like royalty. This luxurious unique wedding venue in Chicago isn’t cheap. 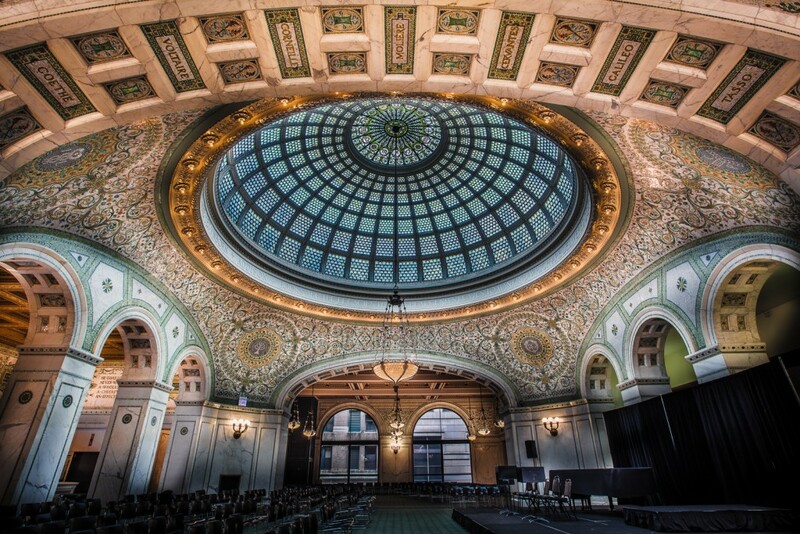 But, if you’re looking to prioritize your venue, you will surely be in for a treat if you get married at the Chicago Cultural Center. As its name suggests, this unique Chicago wedding venue is covered with glowing ivy in the center of the city. 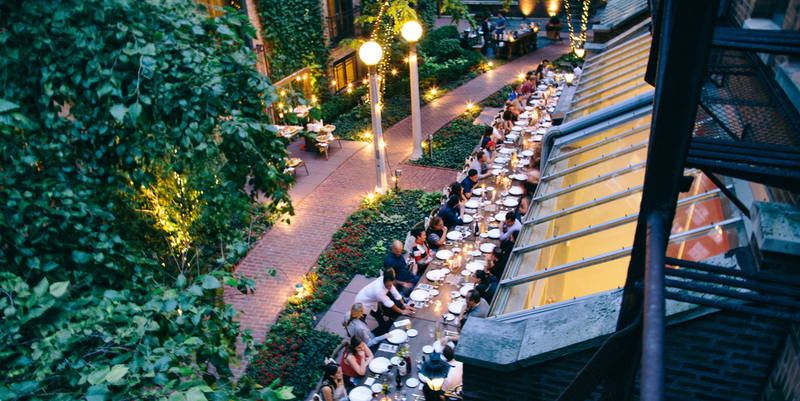 Sitting behind Tree Studios, The Ivy Room offers breathtaking views of both its indoor and outdoor locations. This polished Chicago wedding venue combines historic artistic elegance with an ideal location – two blocks away from the Magnificent Mile! Moreover, the ballroom provides scenic views of the courtyard garden. The lower level lounge invites guests to take a breather from gettin’ down on the dance floor. Undoubtedly, the Ivy Room will create a memorable space for you and your loved ones to celebrate your special day. At LakeShore Photography and Video, we know that planning your wedding can be one of the more stressful times in your life. 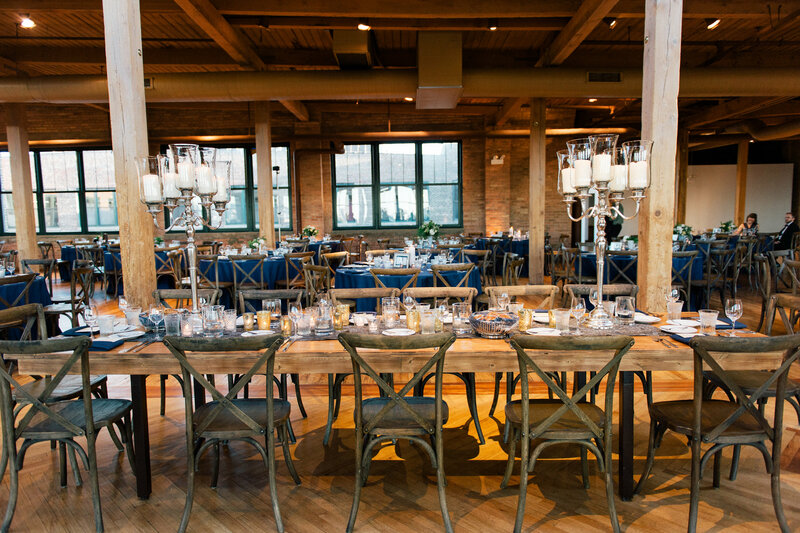 We hope this list has helped you find the perfect place for your Chicago wedding! 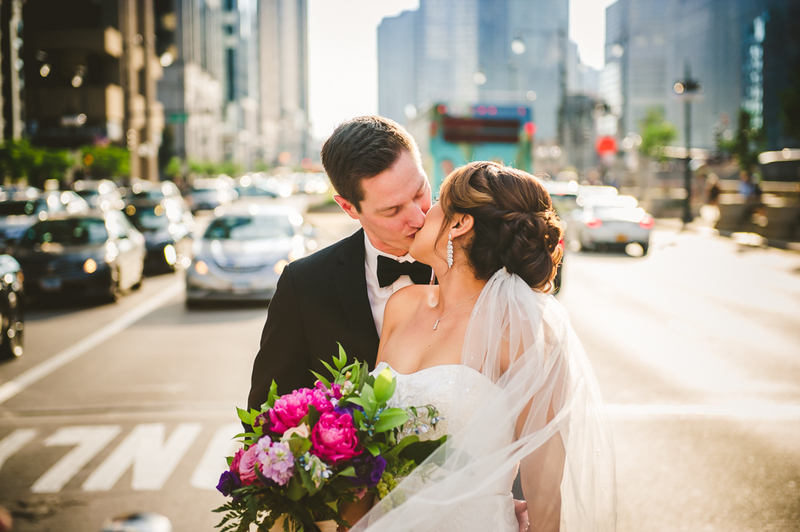 As professional wedding photographers in Chicago, we love helping couples enjoy and celebrate their big days seamlessly. 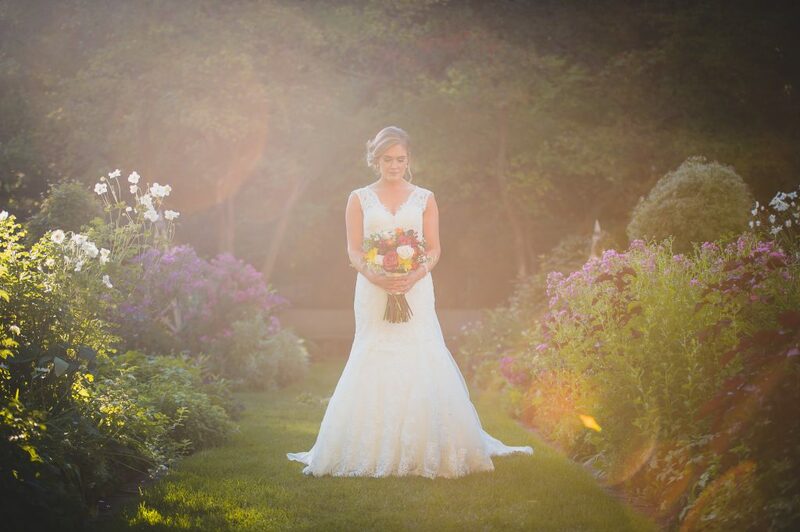 So, if you’re looking for someone who will calm you on your special day and create images of your unique Chicago wedding that will be remembered forever, give us call today at 847-687-2336 for a free quote.